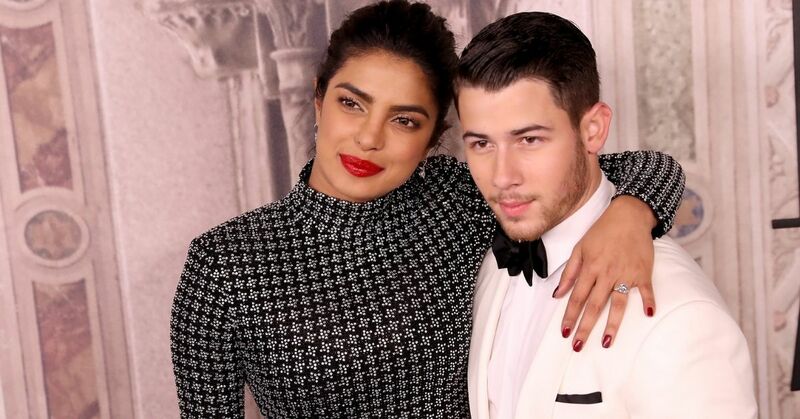 Priyanka Chopra's custom Ralph Lauren wedding dress may have featured sweet messages dedicated to her new husband Nick Jonas - but the star's marriage-day makeup included a problematic link to the pop star's ex, Miley Cyrus. While fans had already shared their disgust over the article, Bollywood stars have also taken to Twitter to slam the global article. Worldwide publication TheCut has now deleted the controversial article on Priyanka Chopra. Dressed in a white kurta pyjama and a black waistcoat, the Indian prime minister was received by Priyanka's mother Madhu Chopra who accompanied him to the stage where he gifted a rose each to the newly-weds. As for her mangalsutra, Priyanka and Nick chose a handsome and unique ornament, complete with a tear-shaped diamond locket, three stones and a gold chain. All that remains on the story's page is an editor's note: "Upon further editorial review, we found this story did not meet our standards. We've removed it and apologise", read a tweet on the official Twitter handle of The Cut. "Priyanka and Nick are finding ways for their "love" make them money - circumventing the methods used by the celebrities of yore, who stuck to selling their wedding or baby photos to magazines", the article added. I hope you do some soul-searching. I don't even think their relationship's real but here goes: 1. Fellow actress Sonam Kapoor wrote, "For a publication that "shows women what they are made of", TheCut has a lot to answer for". Also it's written by a woman which is so sad. Another comment read: "Forget petty". It reeks of envy and bitterness.